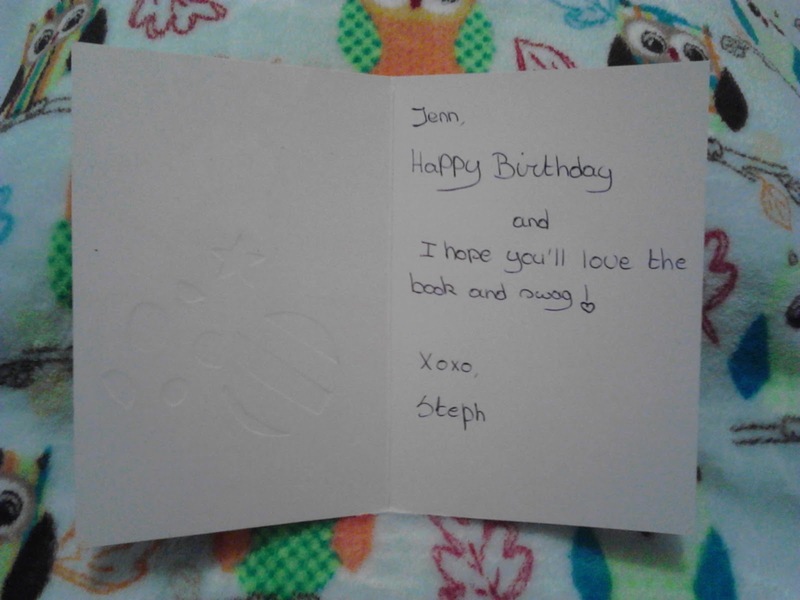 I won Shackled from Steph over @ Bookfever and she sent me swag and a birthday card too! Stephanie is one of the nicest bloggers ever so give her a follow, you won't regret it! 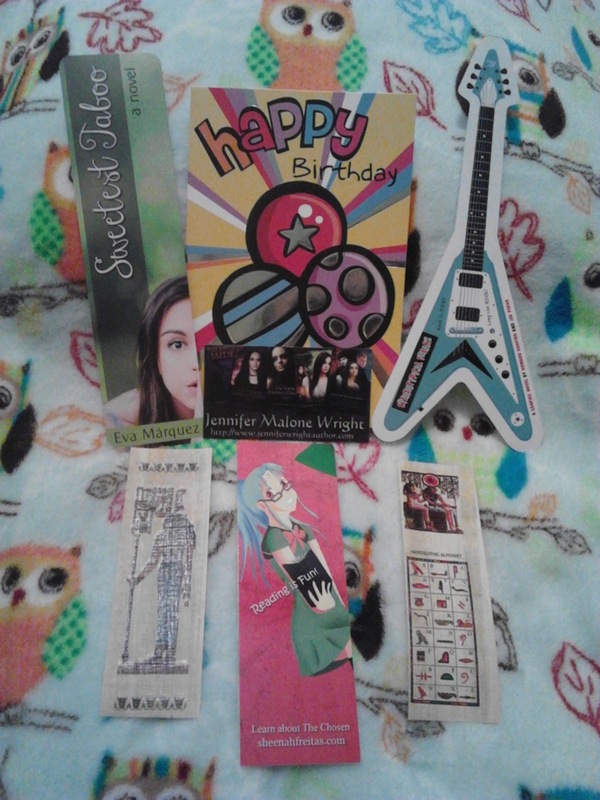 I love the Egyptian bookmarks and the guitar, so cute!